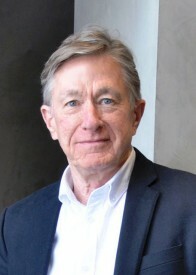 Jeffrey G. Reitz (Ph.D., FRSC) is the R.F. Harney Professor and Director of the Ethnic, Immigration and Pluralism Studies Program at the Munk School of Global Affairs and Public Policy at the University of Toronto, and Professor and former Chair in the University’s Department of Sociology. He has published extensively on immigration and inter-group relations in Canada from comparative perspectives and has frequently contributed to discussions of policies on immigration, multiculturalism and immigrant employment in Canada. He is the co-author of Multiculturalism and Social Cohesion: Potentials and Challenges of Diversity (2009); recent articles have appeared in the International Migration Review, Ethnic and Racial Studies, the Journal of Ethnic and Migration Studies, and Social Science Research. During 2012-2014 he was Marie Curie International Fellow at l’École des Hautes Études en Sciences Sociales (EHESS) in Paris, and in 2017-2018 he is a Distinguished Visiting Fellow at the City University of New York Graduate Centre. He is a Research Fellow with the Institute for Research on Public Policy in Montreal, and a member of the Editorial Board of the Mowat Centre at the Munk School of Global Affairs and Public Policy. “Behind Immigration Debates: Discourse, Policy and Reality of Muslim Integration in France and Canada.” This research compares the experiences of Muslim minorities in France and Canada, considering social, economic and political dimensions, including for the second immigrant generation. It is conducted in collaboration with Dr. Patrick Simon of the National Institute of Demographic Studies in Paris, and with support of grants from the European Commission and the government of Canada. Data sources are drawn from a variety of existing quantitative surveys, supplemented with qualitative field interviews in each setting. The comparison of France and Canada is of special interest for two reasons. First, the two countries represent almost opposite approaches to immigration and to Muslim minorities, different “national models.” The French discourse on immigration references traditional “republican values” maintaining colour-blind policies and excluding matters of ethnicity from the civic arena. This would seem the extreme opposite of Canadian multiculturalism which officially celebrates and supports ethnic diversity. French secularism in the public sphere, laïcité, is one aspect of this contrast, with special implications for Muslims, for example, the bans on headscarves in schools. And second, the actual state of Muslim minorities in the two countries seems very different, more positive in Canada. Canadians are more favourable to immigration in general, and Canada lacks the type of urban unrest seen recently in France. Within Canada, the research examines Quebec as a distinct hybrid case. Quebec is a nation of immigrants like the rest of Canada, but Quebec discourse on immigration reflects French thinking to some extent. Quebec does not embrace multiculturalism policy, and the debates over “reasonable accommodation” of religious minorities, and a Quebec Charter of Values to impose headscarf bans for public employees, recall French themes. So regarding Muslim integration, is Quebec more like France, or more like the rest of Canada?